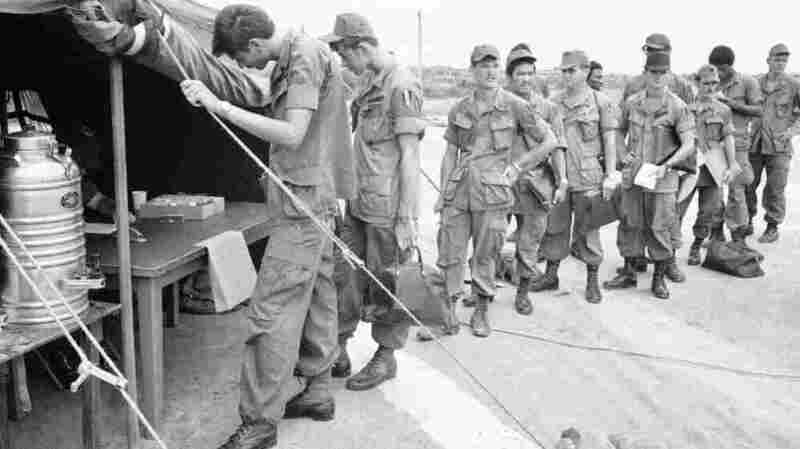 What Vietnam Taught Us About Breaking Bad Habits : Shots - Health News In the 1970s, a sizable number of U.S. servicemen in Vietnam self-identified as heroin addicts. But when they returned stateside, the number of these soldiers who continued their addiction was surprisingly low. Why? Turns out a massive disruption in their environment and routine played a big role in helping them change their behavior. It's a tradition as old as New Year's: making resolutions. We will not smoke, or sojourn with the bucket of mint chocolate chip. In fact, we will resist sweets generally, including the bowl of M &Ms that our co-worker has helpfully positioned on the aisle corner of his desk. There will be exercise, and the learning of a new language. In May of 1971 two congressmen, Robert Steele from Connecticut and Morgan Murphy of Illinois, went to Vietnam for an official visit and returned with some extremely disturbing news: 15 percent of U.S. servicemen in Vietnam, they said, were actively addicted to heroin. People, when they perform a behavior a lot, outsource the control of the behavior to the environment. In response to this report, President Richard Nixon took action. In June of 1971 he announced that he was creating a whole new office — The Special Action Office of Drug Abuse Prevention — dedicated to fighting the evil of drugs. He laid out a program of prevention and rehabilitation, but there was something else Nixon wanted: He wanted to research what happened to the addicted servicemen once they returned home. 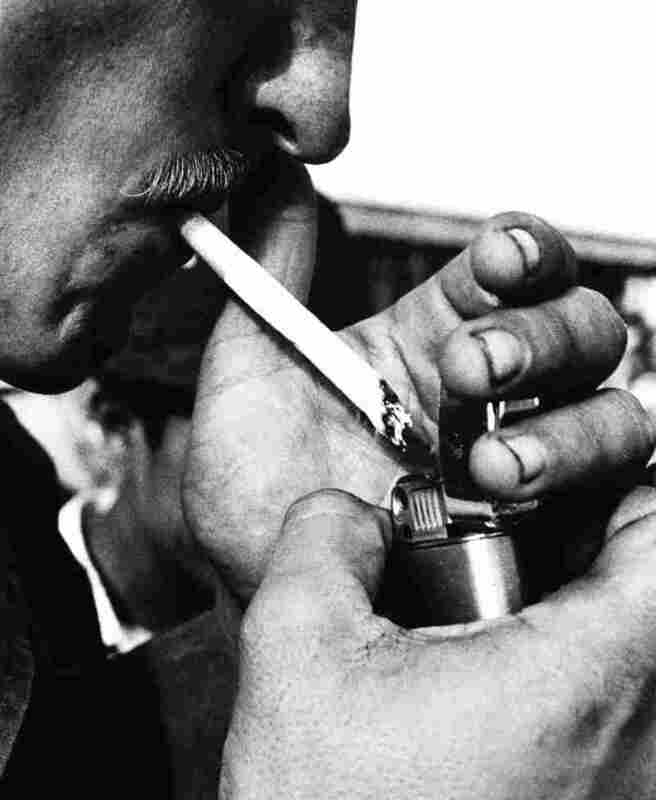 A GI lights up a cigarette in Saigon in 1971. He poured grains of heroin into the menthol cigarette, from which he had first removed some of the tobacco. "I believe the number of people who actually relapsed to heroin use in the first year was about 5 percent," Jaffe said recently from his suburban Maryland home. In other words, 95 percent of the people who were addicted in Vietnam did not become re-addicted when they returned to the United States. This flew in the face of everything everyone knew both about heroin and drug addiction generally. When addicts were treated in the U.S. and returned to their homes, relapse rates hovered around 90 percent. It didn't make sense. According to Wendy Wood, a psychologist at University of Southern California who researches behavior change, throughout the 1960s, 1970s and 1980s scientists believed that if you wanted to change behavior, the key was to change people's goals and intentions. "They do work for a certain subset of behaviors," Neal says. "They work for behaviors that people don't perform too frequently." Neal says this has to do with the way that over time, our physical environments come to shape our behavior. You use a certain motion to put your key in the lock. And then physically manipulate your body to get into the seat. There is another set of motions to insert the key in the ignition. "For a smoker the view of the entrance to their office building — which is a place that they go to smoke all the time — becomes a powerful mental cue to go and perform that behavior," Neal says. And over time those cues become so deeply ingrained that they are very hard to resist. And so we smoke at the entrance to work when we don't want to. We sit on the couch and eat ice cream when we don't need to, despite our best intentions, despite our resolutions. To battle bad behaviors then, one answer, Neal and Wood say, is to disrupt the environment in some way. Even small changes can help — like eating the ice cream with your non-dominant hand. What this does is alter the action sequence and disrupts the learned body sequence that's driving the behavior, which allows your conscious mind to come back online and reassert control. "I think that most people accept that the change in the environment, and the fact that the addiction occurred in this exotic environment, you know, makes it plausible that the addiction rate would be that much lower," Nixon appointee Jerome Jaffe says.